No, I’m not going to patronize you and give you a recipe for a BLT. 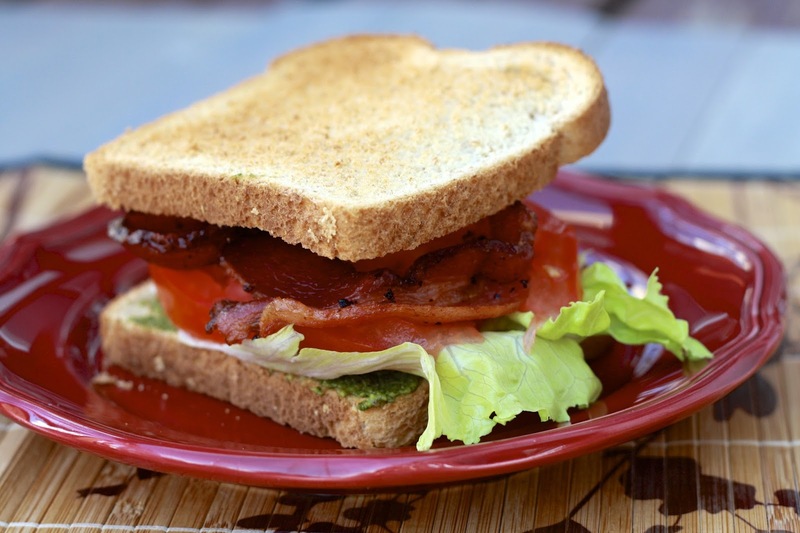 I think you get the idea: bacon, lettuce, tomato, slapped on some bread and done! 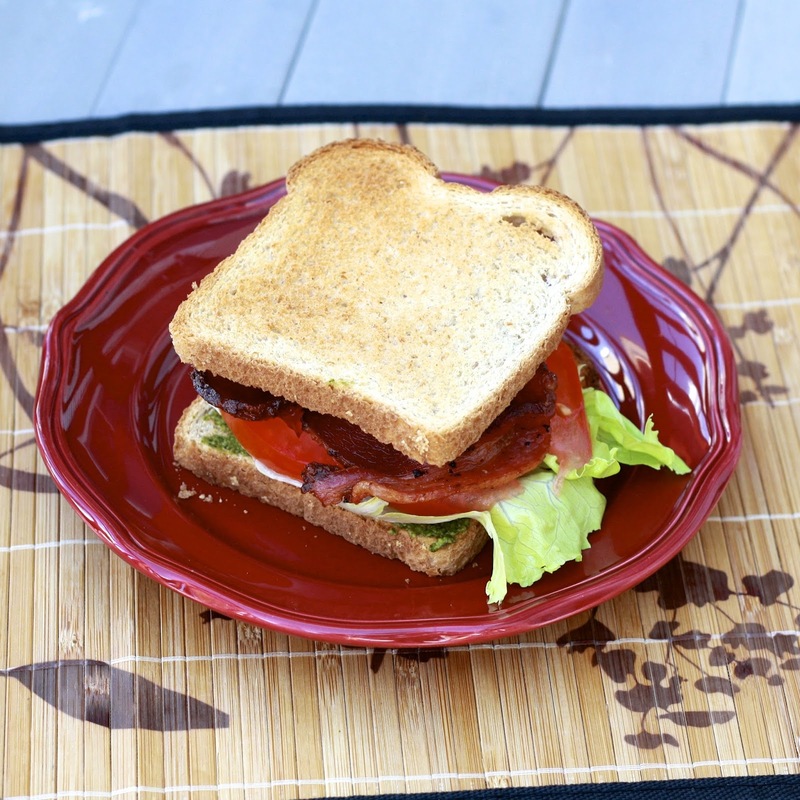 What I am going to do is remind you that summer is prime BLT season. Quick—make one while tomatoes are still juicy and ripe! Also, so long as you’re not a BLT purist, might I suggest adding a bit of pesto to your toasted bread? We added it to these, and it was like the good things of summer (fresh pesto, ripe tomatoes) came together in perfect harmony on a sandwich. I’ll be making this (incredibly fast) dinner a few more times while summer is upon us!